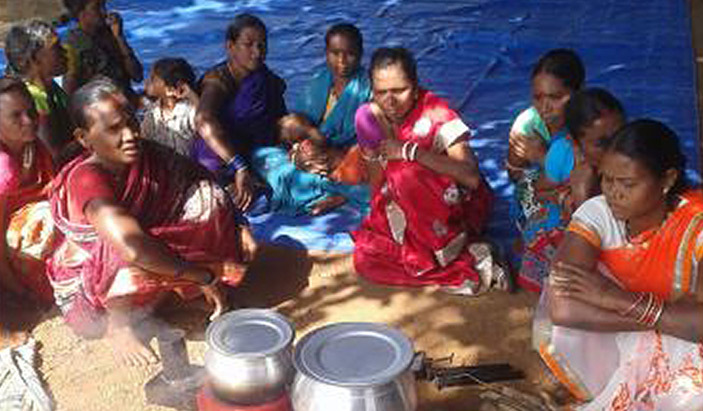 Under the project, CARE India is working on Evolving a Women-centred Model of Extension of Improved Cook Stoves (ICS) for Sustained Adoption at Scale with support from EU in Odisha and Chattisgarh. The overall objective of the project is to promote sustainable adoption of ICS as a clean cooking energy solution among forest-dependent households (FDH), through a combination of capacity building, collectivization, market development, and multi-stakeholder engagement actions, resulting in 10,000 women from FDHs using ICS and developing a sustainable ICS adoption model for replication among 800 million rural households in the country who use traditional and polluting cook stoves. A combination of approaches such as value chain development and capability enhancement of women from marginalised households, and influencing men and key value chain actors are being adopted to generate demand and ensure market based supplies of ICS designed for the poor keeping in mind their requirements and ability to pay. The project aims to increase the awareness of women on clean energy options for household use, facilitate acquisition of ICS, financial and technical interventions, and influence men and other stakeholders in the ICS ecosystem to be supportive of women’s endeavours for clean energy transition. The project works on innovative, women-led extension methodologies and tools, and engagement with women leaders from existing Self Help Groups (SHGs) as Sustainable Household Energy (SHE)-Champions for peer influence and education on Sustainable Consumption and Production.